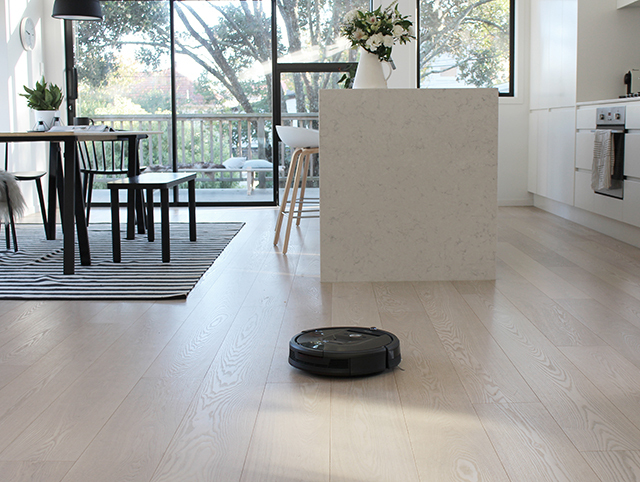 Today I'm going to share with you some amazing products from iRobot that we have recently welcomed into our home. A new discovery for me, this highly successful and recognisable global brand was the first company to bring roaming vacuum cleaners to the market and their latest model the Roomba 980 has some incredible new features. 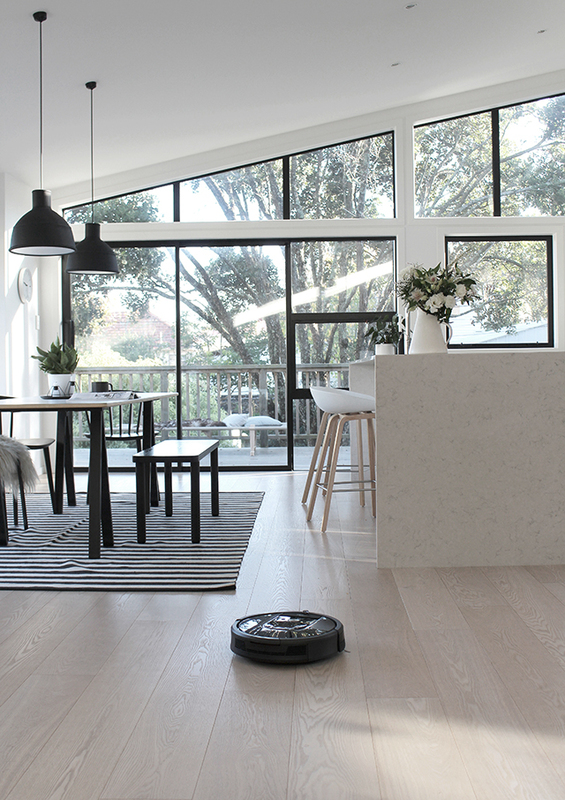 It's iRobot’s first app controlled vacuuming robot with WI-FI connectivity and intelligent visual navigation technology. What this means, is that with the click of a button, it seamlessly and efficiently navigates an entire level of your home, keeping track of its location, all while using the iRobot AeroForce - a three-stage cleaning system to pick up 99% of allergens, pollen, particles and larger debris. As a busy working mum, this is a life-changer! 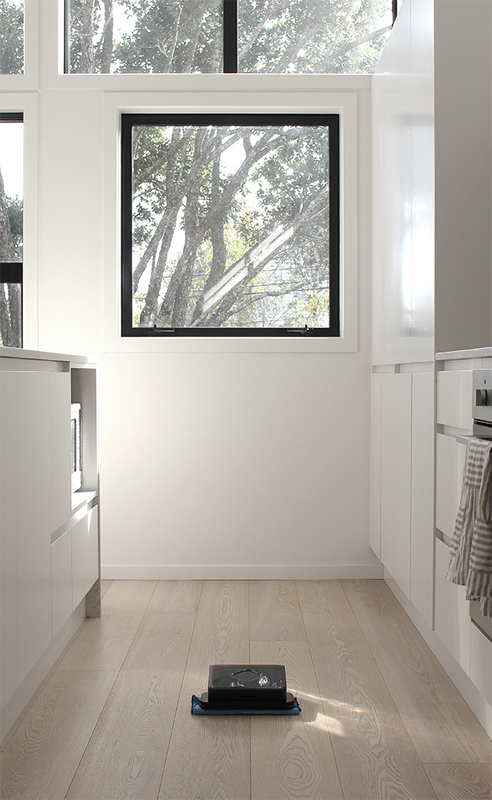 I love our engineered wooden flooring and they are one of the most asked about elements of our home. 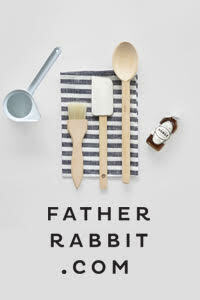 They feature in most of my styling work and with little kids, it's a round-the-clock job keeping them clean. The constant sweeping, vaccuming and cleaning is so time-consuming. Thanks to iRobot this has all changed. When we first powered it up at home there was much excitement. We all watched in amazement as it navigated its way around the upper level of our home. Still new, the excitment hasn't worn off, but the real beauty of what the Roomba 980 allows us to do has become very apparent. We can get on with our busy lives, even turning it on and heading out like we did on the weekend. My tech-loving husband, who is even more protective of our floors since we built than me, is completely enamoured. He has even downloaded the iRobot App to his phone and has been known to turn it on while he's at work, much to my surprise while I'm working from home! You can also set it to an automatic cleaning schedule. With a high-efficiency cleaning pattern and sensors to map and adapt to clutter, furniture and even stairs, we let it work its magic without any worry. There's also a Carpet Boost which detects carpeted floors, making it perfect for our home which has a mix of both carpet and wooden flooring. 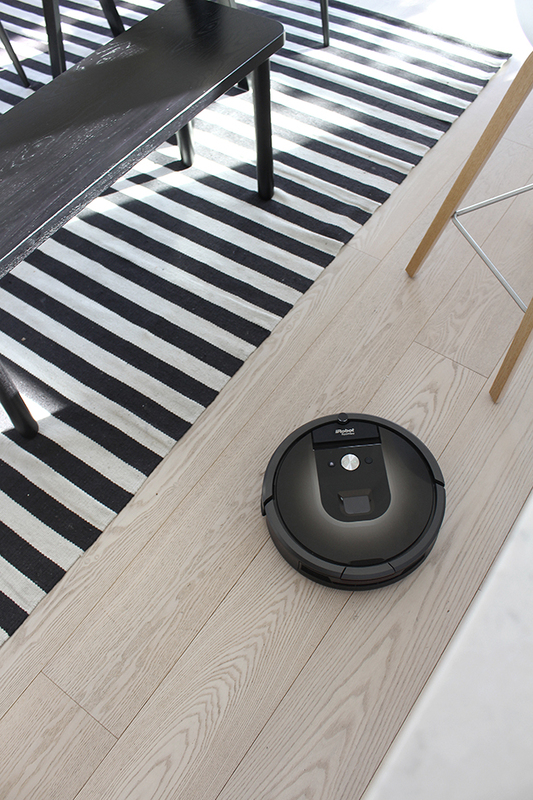 The second iRobot product we have is the Brava 380t. 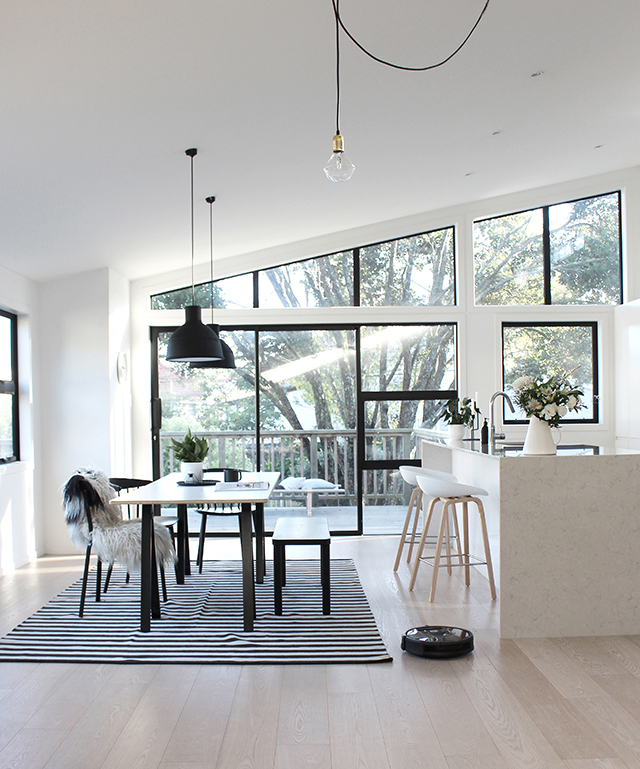 A whisper quiet mopping robot, it also features the ‘iAdapt 2.0’ technology to track where its been and where it needs to go. 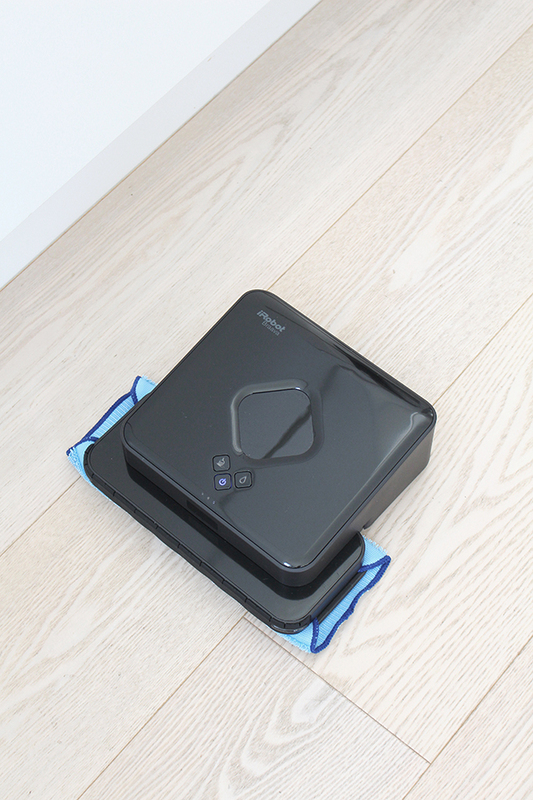 We love firing it up after using after the Roomba 980 to mop our hard floors, and use it daily in the kitchen to keep dirt and food debris under control automatically. The Brava 380t which uses disposable or reusable cloths, cleans wet and dry depending on whether we want to mop or sweep. To find out more about the iRobot products and all of their amazing features, visit the website for further info. You an also see a video of the Roomba 980 in action! This post was created in collaboration with iRobot. 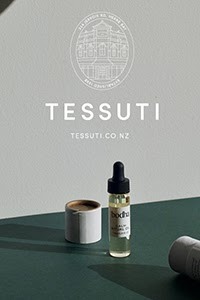 I only work with products I love and all opinions are my own. For more information please visit my About Page. Wait - vac AND mop? !